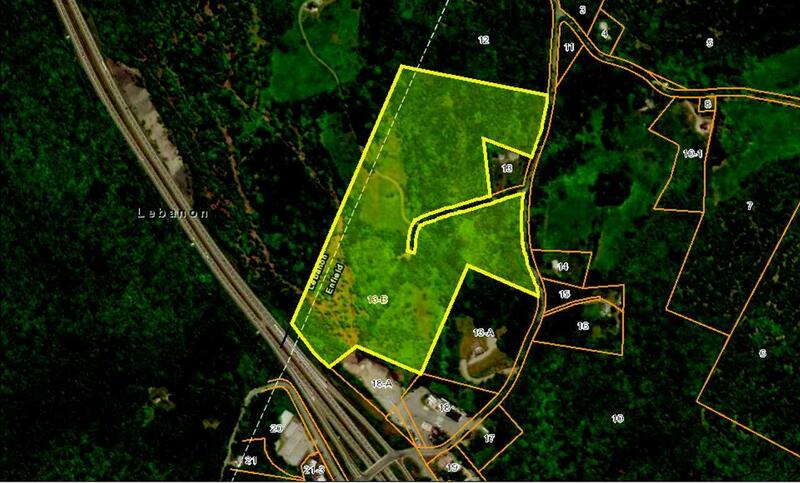 This property, with very visible frontage on I-89, at Exit 16, at the Enfield/Lebanon border, containing about 22 acres in the Commercial/Industrial zone, and 25.5+/- acres in the Residential 5 zone, has great development potentia--office park, retail, light industrial, mixed usel. Acreage in each zone is subject to verification. Pricing reflects valuation of approx. 3.5 acres with C/I zoning with frontage on I-89 at $100,000/ac. and the remaining C/I zoned acreage at $50,000/ac. C/I zone allows great variety of possibilities, which are posted in the attached documentation. Property is essentially a blank slate, to be configured according to buyers wants and needs, subject to subdivision, or, to be purchased intact and developed according to the buyer's plans. Enfield has no frontage requirement for the C/I zone, but any plan would need Planning Board approval. Exit 16 has potential as a new development center, minutes from the intersection of Interstates 89 and 91, the vibrant "Upper Valley" (UV) Hanover-Lebanon, NH/Hartford-White River Jct. region, home to Dartmouth College, Dartmouth Hitchcock Medical Center (the largest medical center in NE north of Boston), the White River Jct. VA Hospital, many high tech industries, and a resounding entrepreneurial spirit generated by Dartmouth graduate school medical and scientific research. The UV is rich in beauty, recreational opportunities, close to major ski areas, and an easy commute to Boston. Courtesy of William Johnson of Big Green Real Estate.